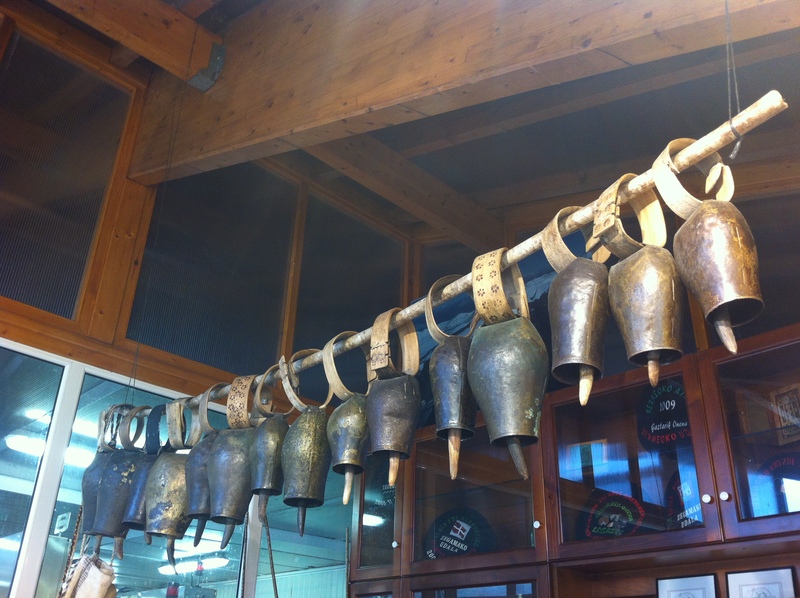 Visit to Idiazabal Cheesemaker Aranburu | eat. write. smile. If there’s one thing I know for certain I could never live without, it’s cheese. 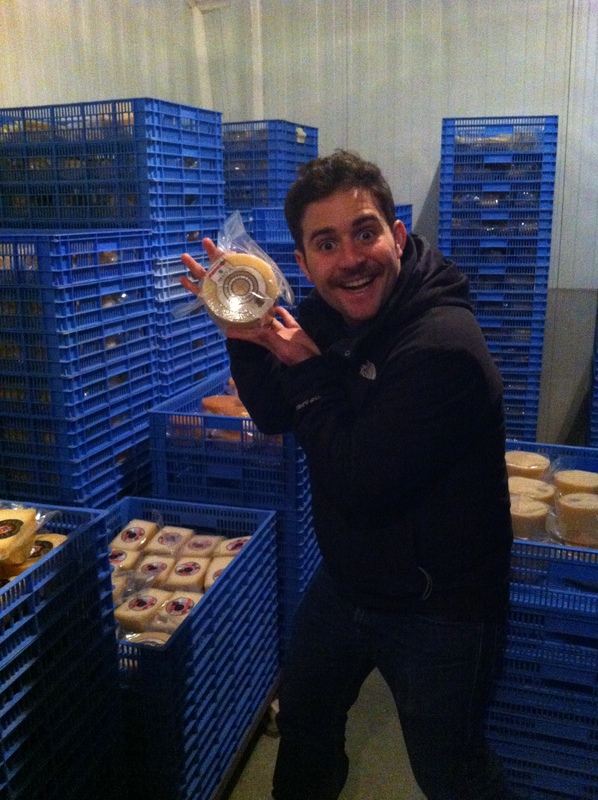 I rarely go a day without it, so imagine my delight when the BasqueStage crew said we were heading to check out an Idiazabal cheesemaker, Aranburu. 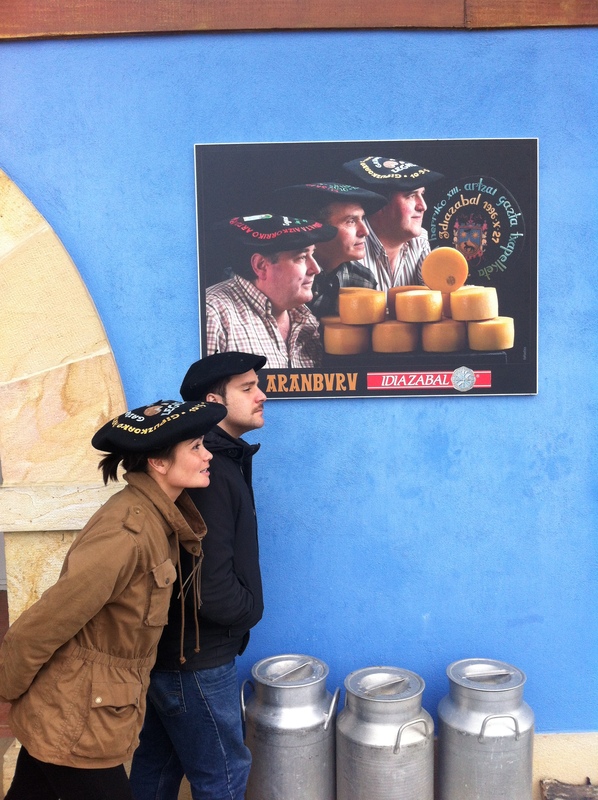 Run by the three Aranburu brothers, Javier, Juanjo and Jexux, this small scale Idiazabal producer is known in the region for its high quality cheeses. Because of FDA red tape, unfortunately they do not export to the United States. 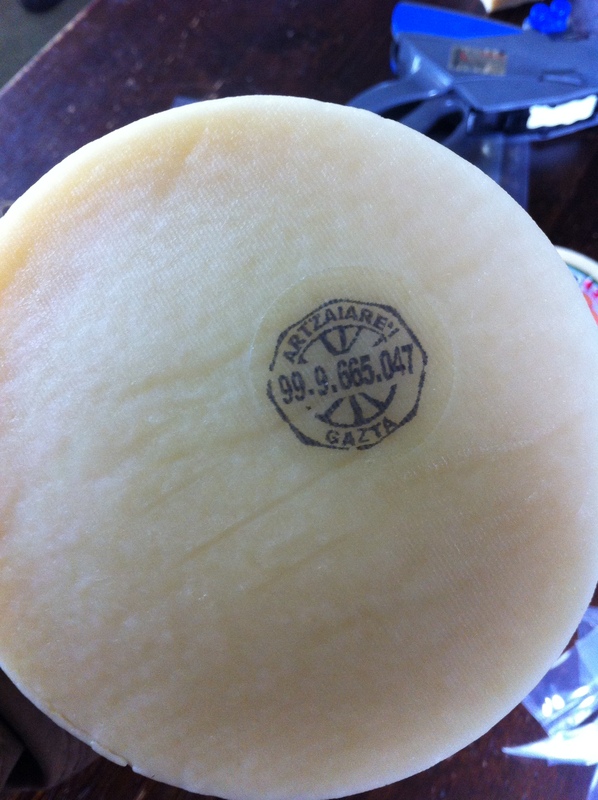 Idiazabal cheese is a Denominación de Origen product, meaning there are specific requirements for a cheese to be called Idiazabal. Much like labeling and quality controls for wines, D.O. regulations inform the consumer about where a product comes from, what it’s made from and how it’s made. Idiazabal cheese must be made from milk from Latxa or Carranza sheep, two Basque breeds that yield low quantities of high-fat milk with a tangy taste particular to the hilly, brambly region where they graze. 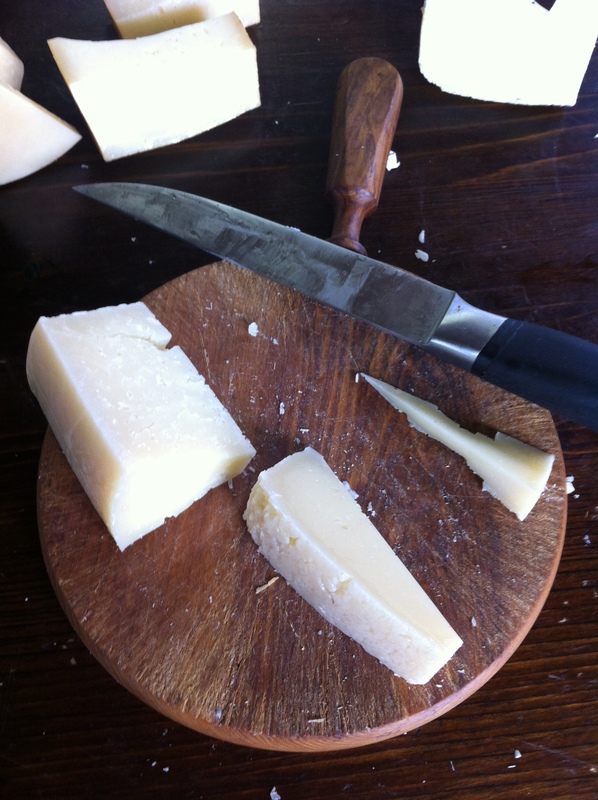 Six to seven liters of sheep’s milk will yield one kilo of cheese. When I considered that these sheep are low-yielding milk producers to begin with, I began to understand why some of my favorite cheeses are so expensive. It takes a lot a care to raise these sheep and it takes a lot of milk to make a little cheese! 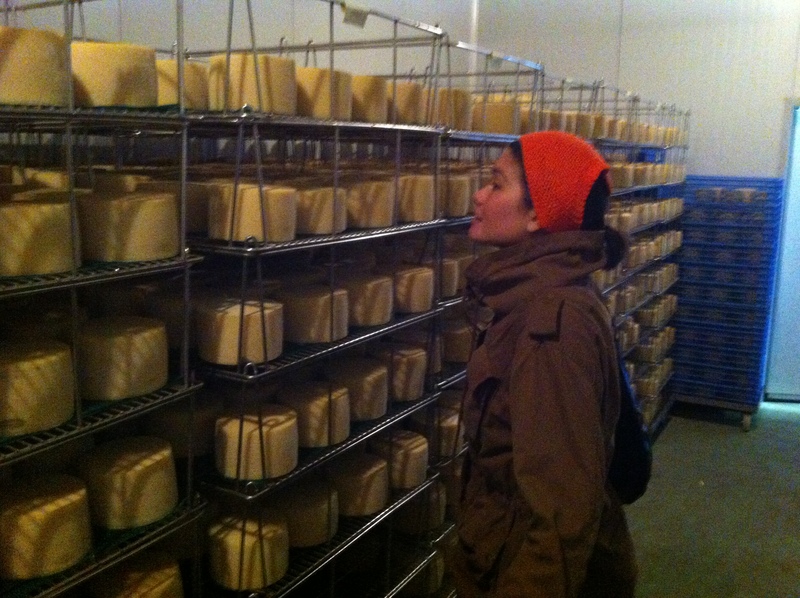 Once shaped into rounds and brined, the cheeses must age for at least three months. A white cheese with a slight spring-back to the touch when young, Idiazabal can also be aged until it’s slightly more dry, but not chalky. It’s nutty, fatty from the sheep’s milk, and tangy too. 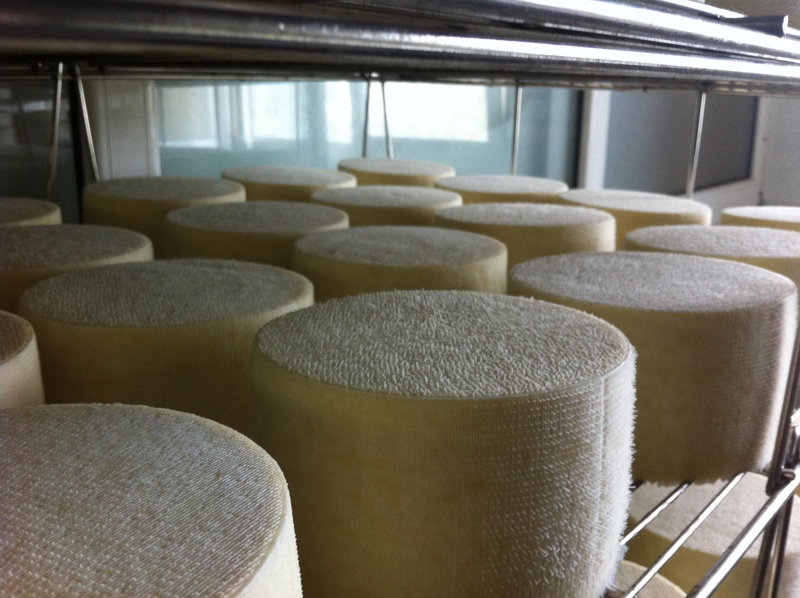 A few Idiazabal cheeses are smoked, but many are not to preserve the terroir of the sheepsmilk. Since the beauty of Idiazabal cheese is often the way it reflects the taste of the Basque hills, it’s not necessary to mask that taste with smoke. While walking through the production area and the aging rooms, I kept thinking to myself Damn it smells good in here. It was a funky but wonderful smell, as if someone decided to make a Parmesan Perfume with the glutamates in the air. Rather than mass produce a cheese that always tastes the same, many artisan Idiazabal producers like Aranburu make seasonal cheeses that reflect the type and the location of grass the sheep are grazing. It’s wonderful to support producers who work on a scale this small so they can remain committed to quality and traditional practices. Our visit was a great opportunity to learn about a local ingredient and a fun excursion into Gipuzkoa profunda, the deep Gipuzkoan countryside. Thanks again to the Brothers Aranburu for sharing the process! Hi Javier, my husband Ed Miller, our son Austen and I visited you last week. We are from Idaho. Thank you for such a lovely tour. Do you have an email address? 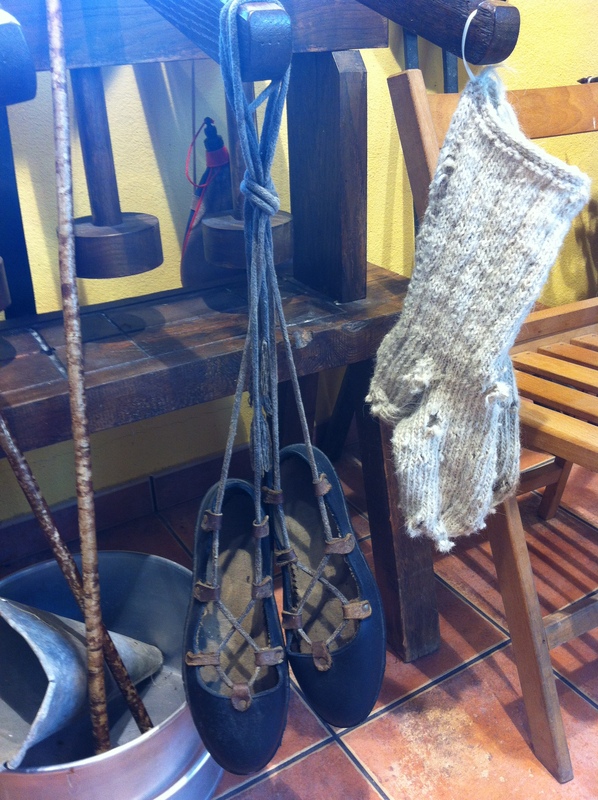 This entry was posted on March 25, 2012 by Ruthie in BasqueStage, Cheese, Travel and tagged Aranburu, cheese, Idiazabal.